JTB XClipClean 2.0 is now released. A few bugs have been fixed and there is now installer available. JTB XClipClean is an Xclip-cutter app for AutoCAD to clean up xrefs or blocks that been clipped so that the information that is outside the clip is removed. This is useful when you need to remove hidden geometry and minimize DWG file size. AutoCAD allows blocks and xrefs to be clipped using the XCLIP command. Sometimes for different reasons you have to clean up the blocks or xrefs that have been clipped. JTB XClipClean can help you with that by deleting and trimming geometry that is outside the xclip boundary. Revit does not handle xclipped blocks and xrefs so XClipClean can be useful to run on drawings before taking them into Revit. 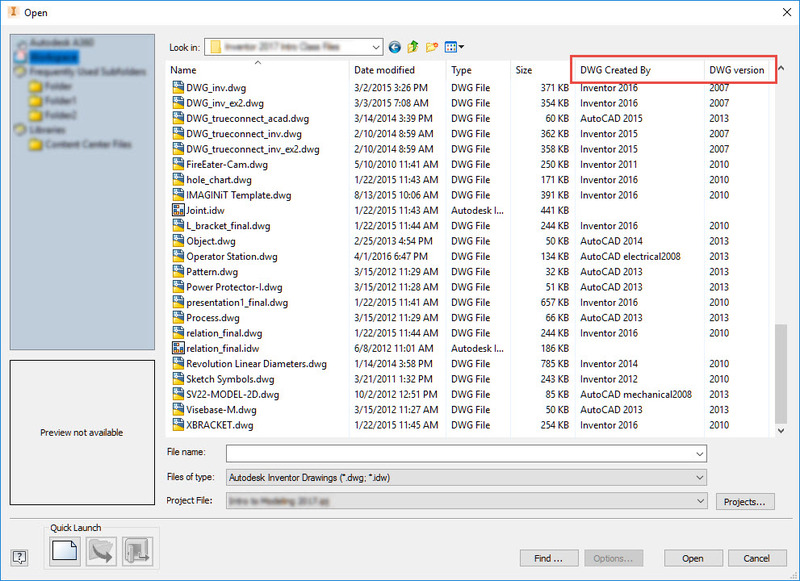 Autodesk Inventor can work with AutoCAD DWG files in different ways and sometimes it can be good to know if the DWG file was created by Inventor or AutoCAD. Here are some quotes from the post Drawings in Windows Explorer: Inventor or AutoCAD? on the IMAGINiT Manufacturing Solutions Blog. You can “right click on it and see if it shows the Inventor iProperties option through the Windows shell integration or use the Provider field in Autodesk Vault to see the creator of the program”. But there is a better way. Check out the trial of DWG Columns here.